Once a month, I share a membership retention or recruitment tip on Facebook at https://www.facebook.com/pnwoptimist/. 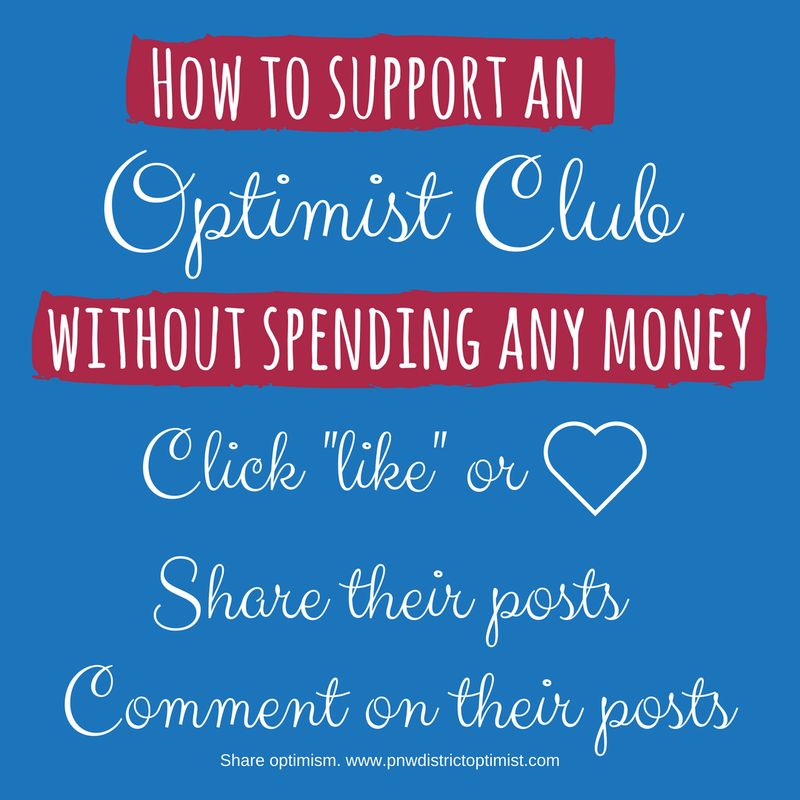 I could probably share more ideas more often, but the timing is meant to allow individuals in Optimist Clubs, wherever they are around the world, the time to give the suggestion a try. One month seems to be a good standard. 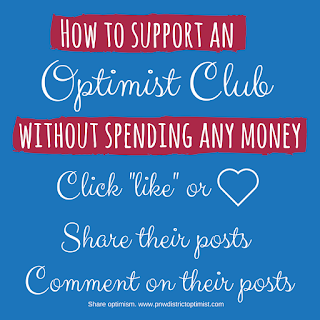 Get everyone involved in promoting your Optimist Club. Budget time at every meeting for reflection. Ask your members to think about and share what they appreciate most about being a member. When we start new Optimist Clubs in new communities, we tell the potential new members about the heartwarming projects that we provide our neighborhoods and explain how rewarding it is to do them with our fellow members, people who share our same goals. 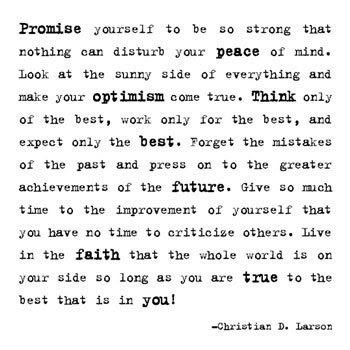 Often that process reminds us how great it is to be an Optimist Club member. Doesn't it make sense to share that feeling with your fellow members? Create a social media post after every meeting that expresses one member’s thought or testimonial. Ask every club member to share that particular post on their Facebook timeline. One of my favorite testimonials comes from Judith Hillend of the Gresham Optimist Club. Speaking about the Optimist International Oratorical Contest, she said, "When you are allowed to listen to nineteen wonderful students speak to you how optimism helps them over obstacles, the outcome is overwhelming. These children of several ages spoke from their hearts about their lives, their obstacles, and their successes - obesity, family problems, hard of hearing and deafness - it brought tears to my eyes and many other Optimists in the audience. The previous list is very limited, but these kids were talking in one of the greatest obstacles in any child's life, talking to adults in a crowd. They are all winners, and those who didn't win prizes are encouraged to return next year. We will be waiting!" Isn't that a great way to learn about the Optimist International Oratorical Contest? I think so and shared it on the PNW District Optimist Clubs website way back in 2012. It still garners hits today. Homegrown public service announcements will help others be aware of who is involved in your local Optimist Club, what projects it performs, and how it will make them feel to be a member. It will warm people to joining. Now all you have to do is ask.